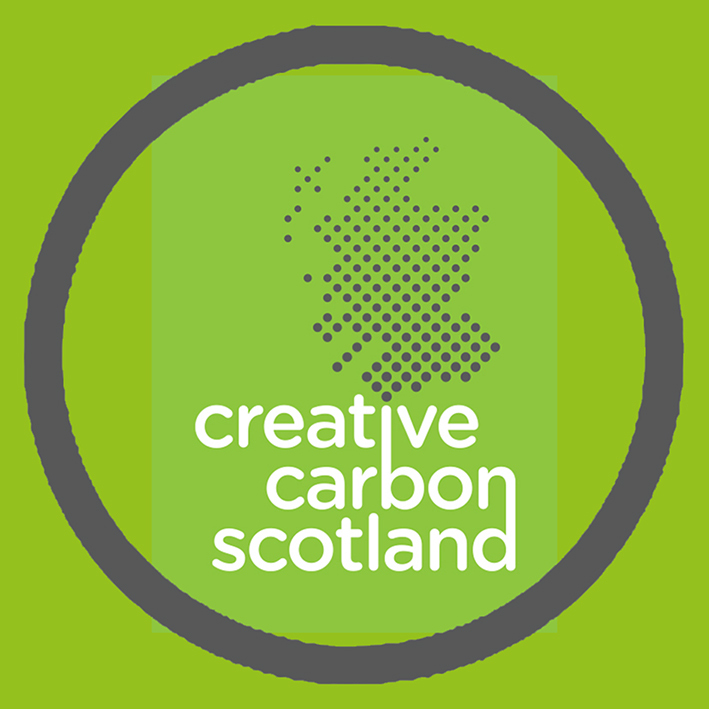 Each year Creative Carbon Scotland put a call out through Creative Scotland for a Scottish-based artist or maker to create a unique and sustainable award piece for the Edinburgh Fringe Sustainable Practice award. Here we find out a little more about the design process from our commissioned maker. The commission based opportunity requests makers to experiment with the environmental, social and economic aspects of their work and reflect the inspirations and objectives of the award. This year the commission was awarded to Chris Wallace, a Glasgow-based crafter. Chris used the image of the ‘Green Man’, a widely known ancient motif, as the main design element of his award. This commonly uses a face surrounded by leaves, composed of leaves or with leaves surging from the mouth and eyes. This image is commonly associated with natural rebirth and the cycle of natural growth. The core image was structured from reclaimed copper electrical wire which was sourced from a metal reclaiming business in East Kilbride. The wire was then made into the elements of the design and soldered together back in Chris’ studio at the Briggait, Glasgow, home to a host of Green Arts Initiative members. Once the image was complete it was fixed onto roof slate which Chris sourced from the cottage he stayed at in the Cairngorms. To finish the design, the lettering was soldered on once the award’s judges decided on a winner and partner logos were attached to the completed award piece by tin can. This year’s award was won by Outland Theatre’s production, Towers of Eden, who loved the unique design concept of their award, and here at Creative Carbon Scotland, we were thrilled by Chris’ unique, detailed and thoughtful interpretation and implementation of the design. 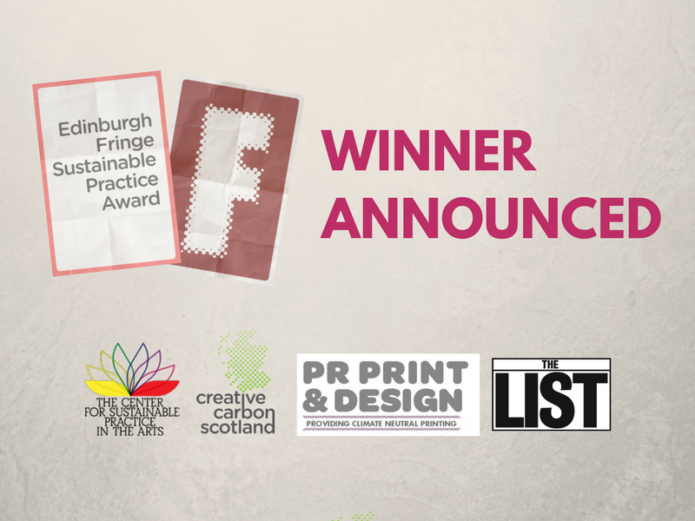 The Edinburgh Fringe Sustainable Practice Award is a collaboration between its founder, the Center for Sustainable Practice in the Arts (CSPA), and Creative Carbon Scotland, working in partnership with the List magazine and PR Print & Design. Each year the award is given to a production that exhibits high quality artistic integrity and engages the company and audiences with the issues of sustainability in all of its forms. It celebrates different approaches to sustainable practice both in content and in the production of shows, and rewards those that take responsibility for their social, environmental and economic impacts and think creatively about how the arts can help grow a sustainable world. For any further questions please contact catriona.patterson@creativecarbonscotland.com or call the Creative Carbon Scotland office on 0131 529 7909. 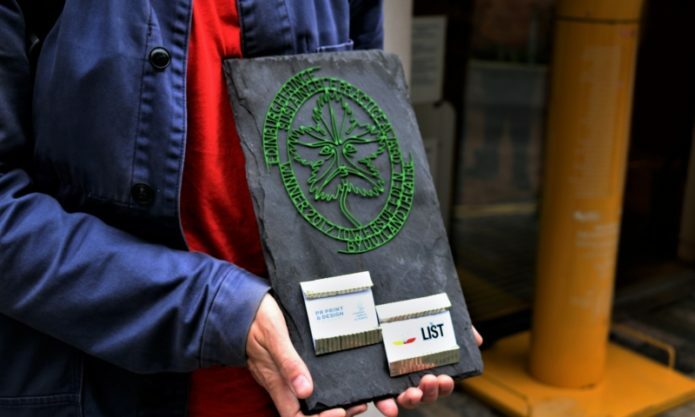 The post Maker Chris Wallace on crafting the Fringe Sustainable Practice Award appeared first on Creative Carbon Scotland. 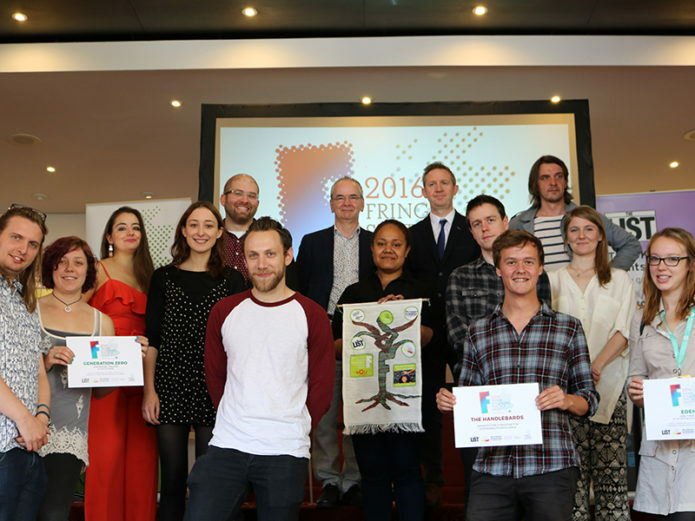 Creative Carbon Scotland and The Center of Sustainable Practice in the Arts announced the winner of the 2017 Edinburgh Fringe Sustainable Practice Award at the Scottish Poetry Library this morning. 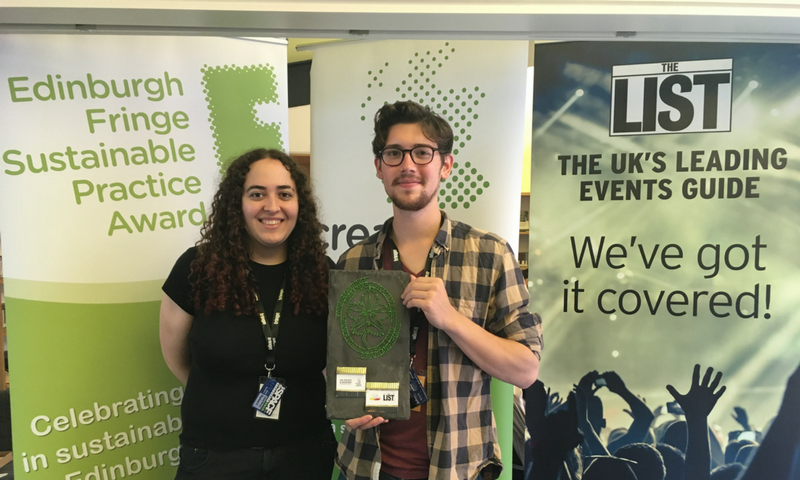 Poet Harry Giles presented the winners, Outland Theatre with the award for their 2017 production at the Edinburgh Festival Fringe, Towers of Eden. Founders of the company, Simon Christian and Melissa Dalton received a hand-crafted piece from Glasgow based designer, Chris Wallace, which was made with reclaimed copper wire and reclaimed roof slate. Ceremony attendees included Fringe participants and others from the Scottish and international cultural and sustainability worlds. With applications open to all 3,398 shows performing at this year’s Fringe, a high number and quality of applications were received, and whittled down to 18 shortlisted productions, 5 finalists and one overall winner. Judges assessed shows based on their artistic quality as well as their engagement with themes relating to social, economic and environmental sustainability, and sustainable practices they adhered to. This year there were many unique ideas and concepts which engaged audiences, both young and old. The award winner, Outland Theatre’s production of Towers of Eden, portrays a dystopian future where environmental disaster has struck, traditional agriculture is no longer sufficient to feed the ever-growing population and the government offers a solution which becomes corrupt. They convinced judges with their unique concept and gripping theatrics which accurately conveyed their sustainable messages. Moreover, they were conscious of the sustainability of their production by considering the carbon footprint of their show, including the impact of their marketing, travel options and sustainable engagement through a crowd funding initiative to support their trip to Edinburgh. 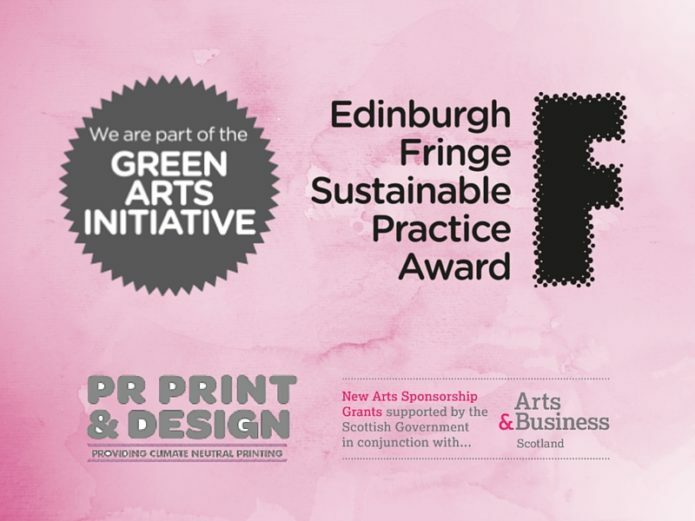 The Edinburgh Fringe Sustainable Practice Award is a collaboration between its founder, the Center for Sustainable Practice in the Arts (CSPA), and Creative Carbon Scotland (CCS), working together with the List magazine and supported by PR Print & Design. This post comes from Coral Mallow: the artist we commissioned this summer to craft the Edinburgh Fringe Sustainable Practice Award. Here’s what she has to say about her process. The Edinburgh Festival Fringe! It is an exciting time to be in the city with it’s candy wrapper costume of theatre posters and the possibility of art literally and figuratively around every corner and close. For an entire month! With such an extensive celebration however comes much waste in promotion, tourism, and production needs. Rather than approach this issue negatively Creative Carbon Scotland chose to create an award to congratulate those productions that had a combination of low environmental impact and innovative production speaking to sustainability problems and solutions. 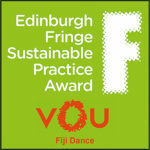 Hence we come to the Edinburgh Fringe Sustainable Practice Award. This is a collaboration between Creative Carbon Scotland and the Center for Sustainable Practice in the Arts. To further keep with the theme of this award they decided to put out a call to hire a local Artist/Maker to create the award. This is where I come in. My name is Coral Mallow and I’m here to tell you about the making and thought process behind the creation of the 2016 award. When I applied for the commission I was already thinking of some things that I would have to keep in mind. The performance that won might not be local as we get troupes and performers from all over the world. As anyone who has flown lately knows weight restrictions on luggage get stricter all the time, so creating something lighter as an award would probably be preferable. As such, the performer that won might not be in Edinburgh at the time of the award giving so it would make it easier to transport or mail as well. I also looked into the award created last year by maker Sarah Diver so also knew I would have to add logos and text. This meant I had to consider a way to accurately and clearly present that information. It also meant that it had to be separate of the body of the piece because the maker would only find out about the winner a week before the ceremony. All of this information was key to my proposal. While I work in many different mediums I chose to weave this award using a technique called twill inlay. 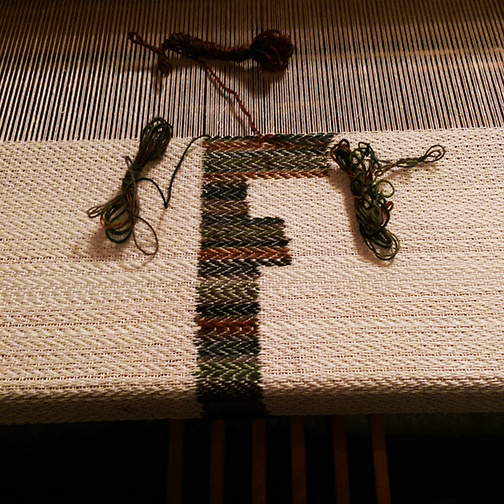 Twill inlay allows you to create a design in a weaving by adding additional yarn to a pattern by hand. Here is a youtube link to a weaver who demonstrates the technique also using four shaft floor loom. I have a background in theatre as both performer and playwright so I looked to the history of theatre to inform my material choices. I chose to use rescued and reclaimed linen and wool yarns to create the body or the award which could then be displayed either flat or hung on the wall. 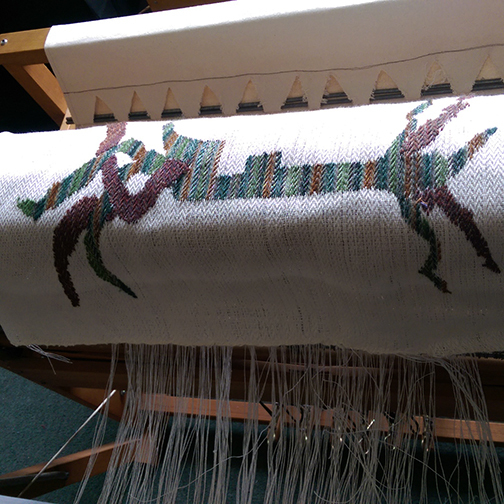 The text pieces would be added and attached by hand using embroidery. To capture the text in clarity I chose to use the services of a local women owned company in Leith called BeFabBeCreative. Using digital printing may not sound sustainable, but when you take into consideration the lack of solvents, the small business commitment to recycling, and the locality allowing me to collect via walking or bus it is an excellent option! 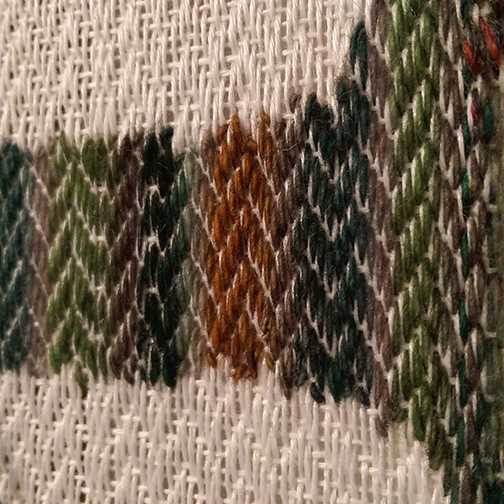 They created the digital prints on a cotton fabric that mirrored the pattern I would be using in the weaving. The proprietors Solii and Zoe were very excited and helpful in getting the cloth printed, prepared, and to me in time for me to complete the piece for the award ceremony. The three pictures above are three of the digital designs created in photoshop that were printed and used. Textile waste is a huge problem with a significant portion of our landfills being clothing, carpets, household soft goods such as sheets and towels and more all contribute to a growing issue around sustainability. There is a tendency towards mass disposal of materials and props during large festivals. Depending on how far some acts have traveled, and what they wish to bring home, Edinburgh can wind up with a significant increase in waste. Artists and theater makers have long been known for their resourcefulness in reusing what society discards. Whether for canvases, costuming, or various assemblages as can be found in sculpture and jewelry, “waste not want not” is the working motto of many a practitioner. By creating a soft textile piece I speak not just to the history of the Arts, but to the Arts long commitment to recycling, upcycling, and industrious innovation. 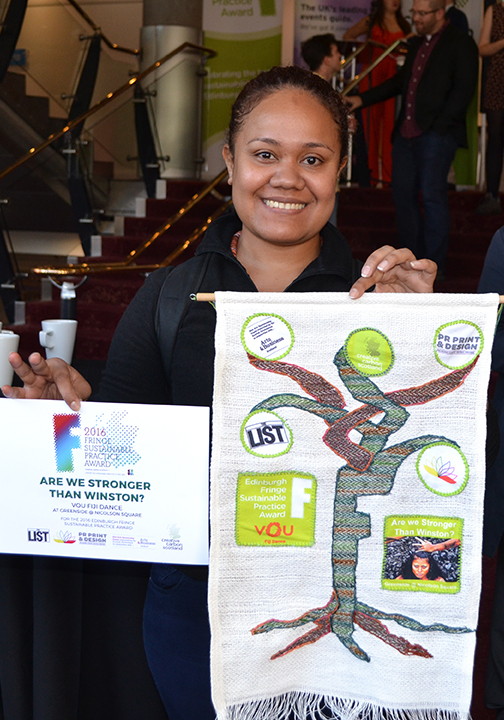 Congratulations to VOU Fiji Dance for winning the award for their production “Are We Stronger Than Winston?”! It was a delight and an honor to create this award and I hope it brings you as much joy in the having as I had in the creating of it. The post Maker Coral Mallow on creating the Fringe Sustainable Practice Award piece appeared first on Creative Carbon Scotland. 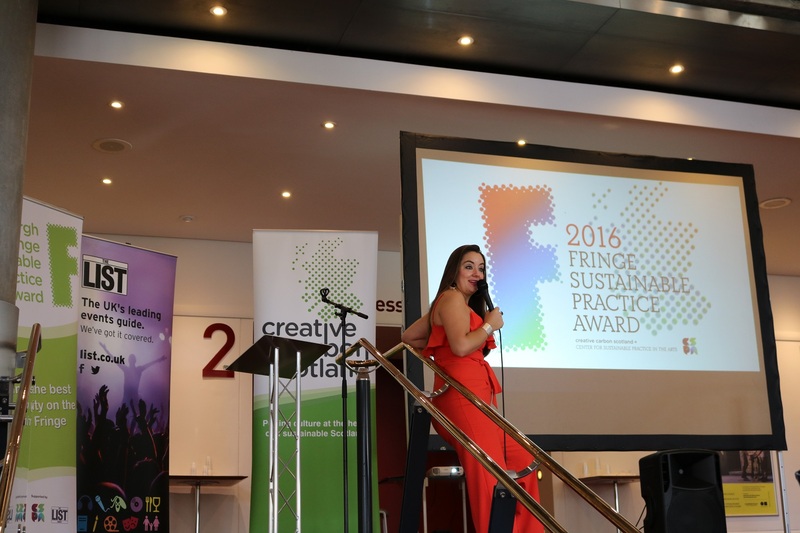 Winner Announced of the Edinburgh Fringe Sustainable Practice Award 2016! 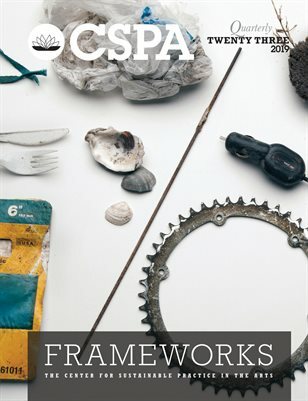 The 2016 EFSPA was announced by the Center of Sustainable Practice In the Arts and Creative Carbon Scotland at a ceremony at the Festival Theatre on Friday August 26th. 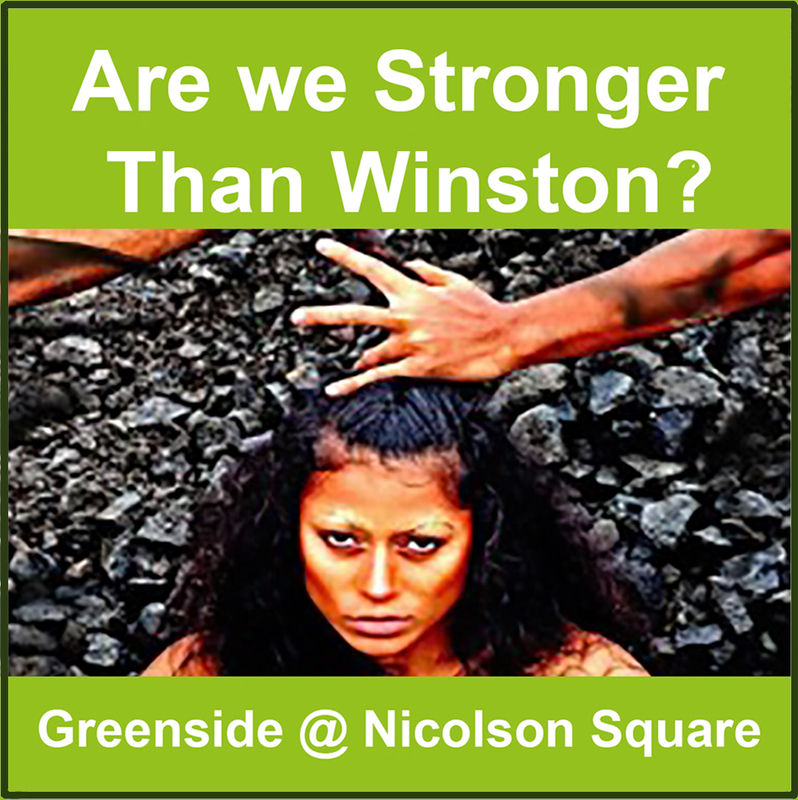 The award, celebrating sustainable design, content and production at the Edinburgh Festival Fringe, was given to VOU Fiji Dance for their production Are We Stronger Than Winston?, performed at Greenside @ Nicolson Square. A representative of the company received the award piece, created by local maker Coral Mallow, and presented by comedian Holly Burn, who hosted the event. Other speakers included Brendan Miles from the List magazine, Ian Garrett from the Center for Sustainable Practice in the Arts and Phil Brady from PR Print and Design. VOU Fiji Dance emerged as the winner from a highly competitive field. With more applications than ever before, the judges agreed to shortlist 24 productions and choose 7 finalists. This unusually large selection reflected the high quality of the productions as well as their scope across all areas of sustainability. Judges assessed shows based on their artistic quality, their engagement with themes relating to social, economic and environmental sustainability, and their thoughtfulness around decisions relating to sustainable practice. For expressing the fragility of life in a dangerous environment through consistently expressive physical movement, sound and high production values. Engages by provoking questions rather than providing answers. 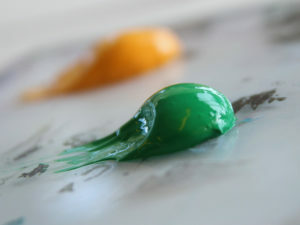 For its intentional and considered use of found objects in a way that transforms them into magical characters and for making a strong connection with the environment and waste as exhibited in material choices. For its exploration of a future where climate change has restricted our travel and lives, and the emotional impact of such a societal shift. A production where the ramifications of living unsustainably were at the heart of the plot. For using delightful and inventive upcycled puppetry to explore the human role in nature, and the importance of harmony in the world. It created an approachable context for children to understand the cycles of nature, and our need for it. For a purely executed, uncompromising look at human transience and how that manifests in the unsustainability of our built world. For their continued excellenve and ambition both concerning artistic vision and sustainable practice of the company itself. Having won the award in 2014 and being shortlisted several times, they received a special commendation for their continued achievements. The award for Sustainable Practice at the Fringe was first launched in 2010 Previous recipients include: The Pantry Shelf , produced by Team M&M at Sweet Grassmarket; Allotment, produced by nutshell productions at the Inverleith Allotments in co-production with Assembly; The Man Who Planted Trees, produced by the Edinburgh’s Puppet State Theatre; How to Occupy an Oil Rig, by Daniel Bye and Company, produced by Northern Stage; The Handlebards: A Comedy of Errors/Macbeth, produced by Peculius at the Royal Botanic Gardens Edinburgh and Lungs, by Paines Plough at Roundabout at Summerhall. 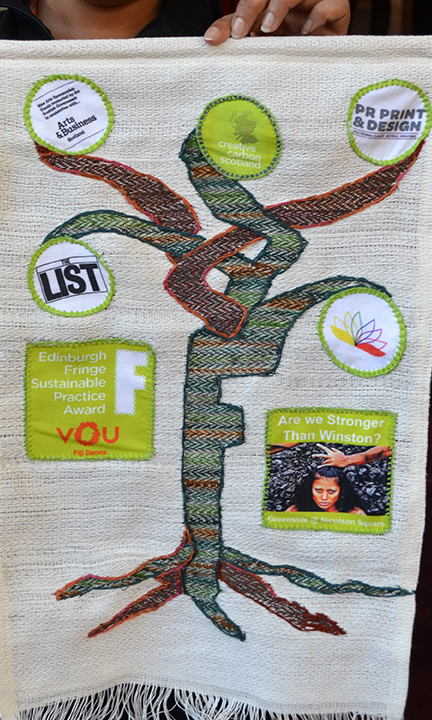 The Edinburgh Fringe Sustainable Practice Award is a collaboration between its founder, the Center for Sustainable Practice in the Arts (CSPA), and Creative Carbon Scotland (CCS), working together with media partner the List magazine and sponsor PR Print & Design, supported by the Arts & Business Scotland’s New Arts Sponsorship Grants programme. 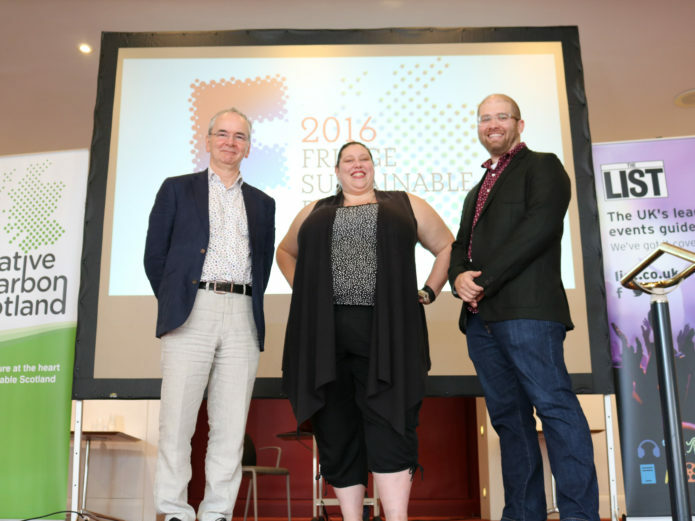 The post Winner Announced of the Edinburgh Fringe Sustainable Practice Award 2016! appeared first on Creative Carbon Scotland. The ceremony will take place in the Lafayette Bar (1st floor) in the Festival Theatre: a year roundGreen Arts Initiative venue and host for Edinburgh International Festival events during August. Taking the form of a celebratory breakfast reception, the ceremony will start at 10:30am and tea, coffee and pastries will be provided. All applicants to the award are invited to attend, as are all those interested in arts and sustainability on show at the world’s largest arts festival! 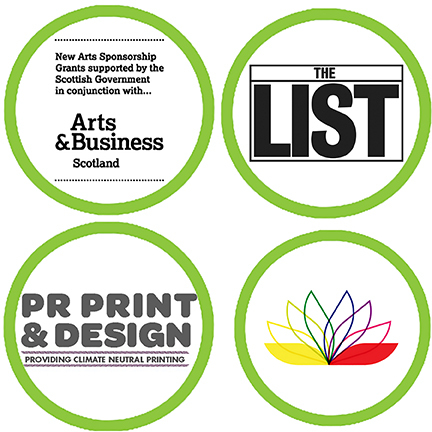 The Edinburgh Fringe Sustainable Practice Award was established in 2010 by Center for Sustainable Practice In the Arts, and is now run as a joint initiative between the Canadian organisation and Creative Carbon Scotland, in partnership with The List magazine and PR Print & Design. Each year the award is given to a company or individual at the Edinburgh Festival Fringe that has created a high-quality production that thinks creatively about sustainability and engages their audiences with the issue, from sustainability-driven content to elements of sustainable production. Social, economic, and environmental sustainability dimensions are considered, as well as the content and technical production of the show. Applications to the award are open until 12 August, and productions can apply here. Click here for more information about environmental sustainability at the Edinburgh Festival Fringe. 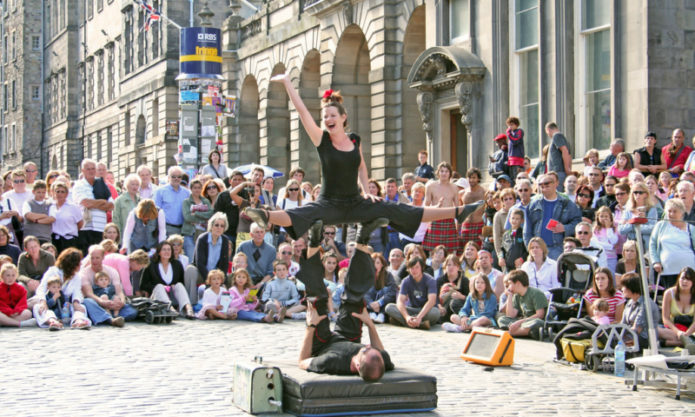 The Edinburgh Festival Fringe is officially starting today! Some people might already be resenting the crowds just as others have been looking forward to the swirl of colourful bustle for weeks. But one thing is certain: There’s no other place with such a variety of a cultural programme, in fact, the choice can be overwhelming. So we have done the hard work for you. Creative Carbon Scotland has been scouring the Fringe programme for the best shows about sustainability to present to you. Every week we pick 10 of the most exciting and creative productions that we have found, from theatre to exhibitions, talks to dance, that are not be missed! Also keep an eye out for the shortlist for the Edinburgh Fringe Sustainable Practice Award, which will be released on 12 August right here on our website. 9. Keep the Kids Out! What sustainable Fringe shows are you seeing this week? 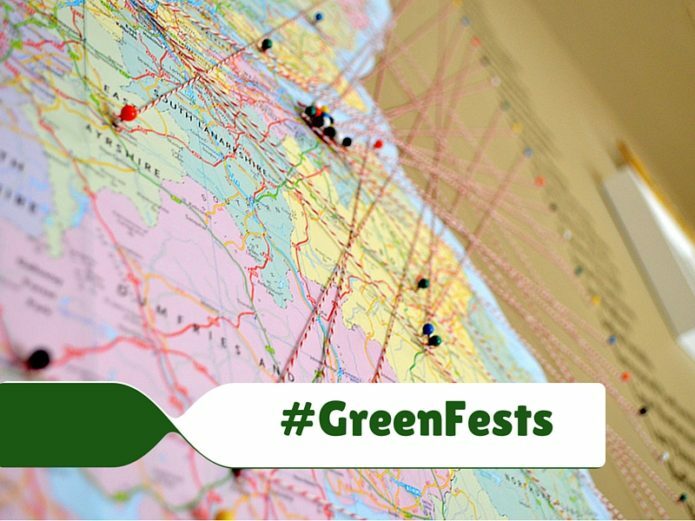 Let us know on twitter with the hashtag #GreenFests! The Festival season is picking up speed and the array of events offered can be quite overwhelming. So we compiled a handy list of 10 things about environmental sustainability to do at the various festivals around Edinburgh this August. You’ll notice the Festival Fringe is absent – for weekly updates on which green Fringe shows you should see, follow #GreenFests on our blog. We hope you enjoy these suggestions and have a fantastic festival experience! 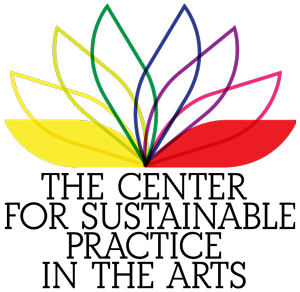 Just Festival hosts this year’s events under the hashtag “FromTheEdge”, including discussions, talks, exhibitions and performances. From marginalised groups in society to climate change, their programme is expansive and thought-provoking. This Just Festival Conversation in particular will look at what is being done to help communities around the world respond to the threats of climate change and whether disaster can be avoided. This performance at Just Festival brings together musician Matilda Brown and photographer Nick Rowle to collaborate on a series of musical and photographic pieces focusing on the mysteries of landscape. Within this new series of work, Matilda and Nick capture the mystical and unknowable wonder of nature; silence and darkness, solitude, encountering the sublime, sensual and occasionally violent forces of nature. This year’s Book Festival programme includes the theme “A Changing Society”, with speakers from many disciplines. In this talk,global trends analyst Richard Watson speaks about the influence of our rapidly evolving technology on our society. What should technology do for us, beyond much-shared cat videos? In Digital vs Human, Watson predicts the areas of life that could genuinely be improved for the better. 4. Mark Kurlansky: Does Paper have a Future? For centuries we thought of paper as a wonderful and indispensable invention. Yet in recent years, we seem to have been striving towards a paperless society, suggesting it now has negative connotations. For his book Paper: Paging Through History, Mark Kurlansky, New York Times bestselling author of Cod and Salt, traces paper back to its origins and follows its path towards the digital age. The Art Festival returns this year with a wide variety of artists to showcase. One of them is artist and printmaker Barbara Rae, whose collection of art pieces encompasses locations from around the world, studying human habitation by ancient and modern societies that live off and work on the land. She works and exhibits here a variety of media, sometimes semi-abstract, often abstract, depicting the ruggedness of life’s daily struggle. Part of the Art Festival programme are a series of guided walks and discussions about travel organised by the Walking Institute, Deveron Arts and the Forest Fringe. There is “Walking Women“, where artist’s walks and talks will run alongside a Wikipedia edit-a-thon of women walking artists, an open mic pecha-kucha, a ‘walkie-talkie’ mobile workshop, and a library of walking women books. “How Humans adapt” looks at how the simple process of walking can become an experimental artistic performance. “All Roads lead to Venice/Ugly Walk” is a combination of a guided walk, looking to explore the ugly landscapes of industrial estates, countering the expectations that a beautiful walk is tied to natural landscapes, and a series of discussions concerning artists undertaking long distance journeys. P+P explores the issues of waste and recycling in today’s consumerist society. Ten artists from around the world have been sent a 30 x 30 x 30 cardboard box and asked to use it as the basis for creating or sending a new art work. Expect a mix of installation, animation, painting and object-making by artists exploring ideas around the figure, the fantastical and spontaneity. The Edinburgh International Festival once again collects big names in Edinburgh this August, including this collaboration between filmmaker Mark Cousins and musicians Mogwai. With images of protest marches, Cold War confrontation, Chernobyl and Fukushima, Cousins’ impressionistic film is a kaleidoscope of the appalling destructive power of the atomic bomb, and also the beauty and benefits of x-rays and MRI scans. Mogwai’s compelling soundtrack encapsulates the nightmare of the nuclear age, but also its dreamlike beauty. French composer and multi-instrumentalist Yann Tiersen is best known for his quirky score to Jean-Pierre Jeunet’s 2001 film Amélie. But that only scratches the surface of his enormously rich, magical musical output. After touring the globe for nearly a decade in planes and buses, Tiersen is now slowly cycling around the world, stopping for performances both in traditional venues and in the wilderness. Working with groundbreaking producers Oneohtrix Point Never and Hudson Mohawke, “Hopelessness“collides an uncompromising electronic dance soundtrack with ANOHNI’s soulful, uplifting vocals. 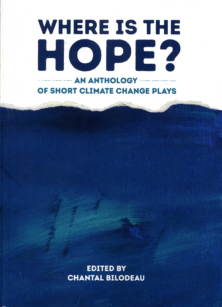 “Hopelessness“ is a scream of fury against the evils of today’s world: mass surveillance, drone warfare, ecocide. Delivered in infectious, unforgettable pop. This is the electronic dance anthem as visceral protest song. 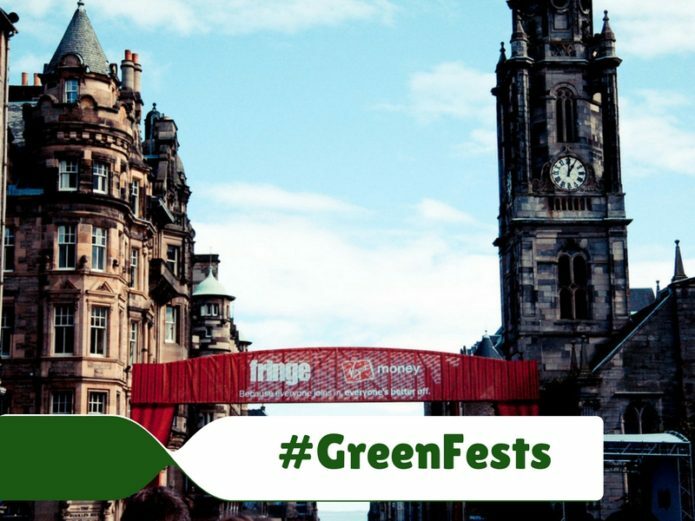 The post #GreenFests: 10 Green Things To Do In Edinburgh This August appeared first on Creative Carbon Scotland.